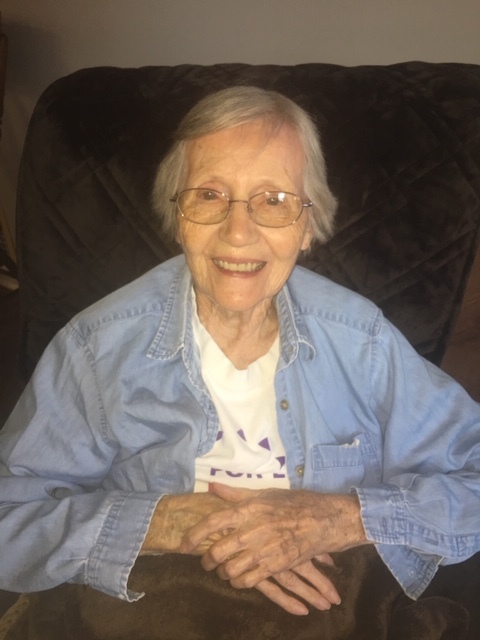 Obituary for Harriet (Shy) Porter | Richards Funeral Home Inc.
home in New Madrid at the age of 91 years. Arthur and Mildred Phillips Shy, Sr.
She was a member of the Immaculate Conception Church. Loretto Academy, Kansas City, MO. In addition to her parents, she was also preceded in death by; one daughter, Kay Kirk, one sister, Josephine Richardson, one brother, Robert Shy, and one grandson, Daniel Curtis Porter. Survivors include: Children, Michael Porter of Poplar Bluff, Carolyn and Jerry Allred of Bowling Green, KY., Joe Porter of New Madrid, Patty Frye of New Madrid, Erwin Porter of Cape Girardeau, Anita and John Hunter of St. Louis, Edward and Vicki Porter of New Madrid, Lynette and Tim Fowler of New Madrid, Sisters, Mary Sue Anton of League City, TX., Laura Neal Sinex of Cape Girardeau, Clare Shy Winter of New Madrid, Alice Recker of Harrisonville, MO.,, Loretto Alexander of New Madrid, Ruth Shy of Albuquerque, New Mexico, one brother, Arthur Shy, Jr. of Crystal, MI., 23 Grandchildren, 29 Great-Grandchildren, one Great-Great Grandchild, and Son-in-law, Roger "Sonny' Kirk, Jackson, Mo.